Turkey’s ruling Justice and Development (AK) Party Deputy Chairman Ali Ihsan Yavuz has submitted an extraordinary appeal to the country’s election council over the March 31 local election polls in the city of Istanbul on Tuesday, state-run TRT news reported. "God willing, soon we will have presented our extraordinary appeal requesting the annulment of the Istanbul Metropolitan Municipality elections and their do over,’’ Yavuz posted on Twitter. The move by Turkey’s ruling party arrives amid an ongoing recount of invalidated votes demanded by the AKP 16 days after the polls, where opposition Republican People’s Party (CHP) candidate Ekrem İmamoğlu remains in the lead by over 13,000 votes. 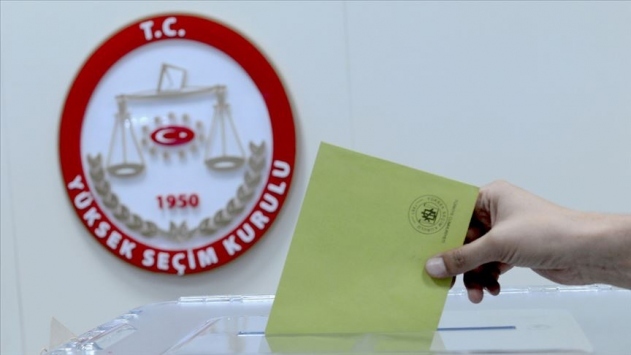 The country’s Supreme Election Council (YSK) will have the final say on the matter. Turkish President Recep Tayyip Erdoğan has said the March 31 local elections had been marred by "organised crime" at ballot boxes in Istanbul, which has been ruled by the AKP and its predecessor since 1994.